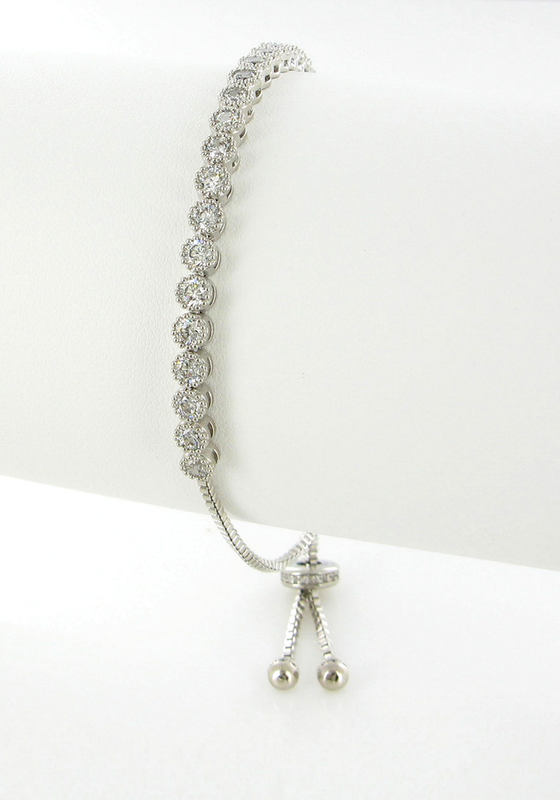 This pretty silver plated bracelet from Nour London is a stunning piece of jewellery. It has an adjustable closure and a row of embellished round cut crystals. A beautiful accessory to finish of any outfit.